Bobby Herd has handed in this photo of the Fife Show at Kincaple, St Andrews in 1965. With spring showers threatening and a hopeful glimpse of the sun it is undoubtedly Fife Show time. This time of year brings about the opportunity to reminisce about May days spent enjoying the sights, sounds and smells of the popular event. This week’s look into the past was submited by reader Bobby Herd. A rare colour image depicts a bright day back in 1965 as people gather at Kincaple. 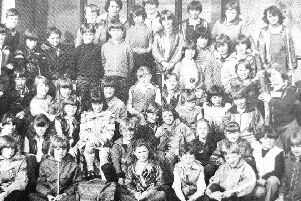 If you have a photograph that you would like to feature in our nostalgia spot, please email ffpnews@fifetoday.co.uk with any information you have on when and where it was taken.